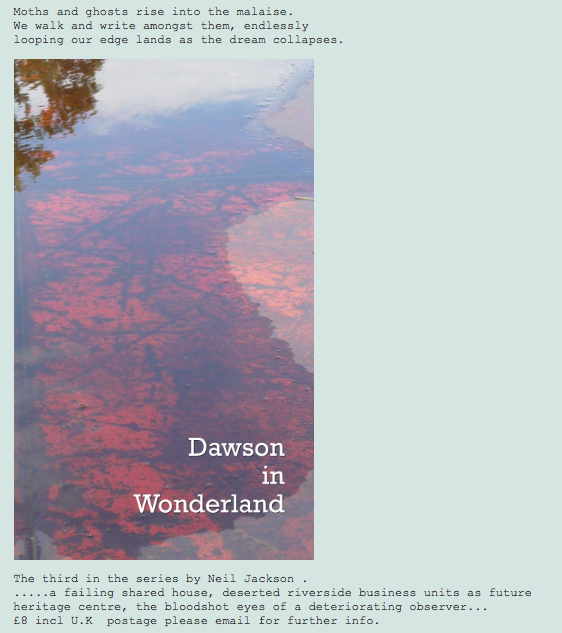 Delighted to announce that DAWSON IN WONDERLAND is published this week by Voices in a Lane. Follow the link for full details. This short, ambient fiction is part three of a planned seven individually produced items in the series The Last Dispatches of Dust, which already features these wonderful books: As Blank as the Days Yet To Be by Mark Valentine; and ghost:dust:rain by Alasdair Maclean. 100 numbered copies. Cover design by Julian Hyde, master of dispatches. This entry was posted in News and tagged Books, edgelands, Fiction, Julian Hyde, Neil Jackson, Psychogeography, Voices In A Lane on August 3, 2017 by postnearlypress. Please note PNP2 – Film Without Film is no longer available. This entry was posted in News on August 2, 2017 by postnearlypress. Note: there is no new content in this second printing. Orders and enquiries welcome now. Details here and here. 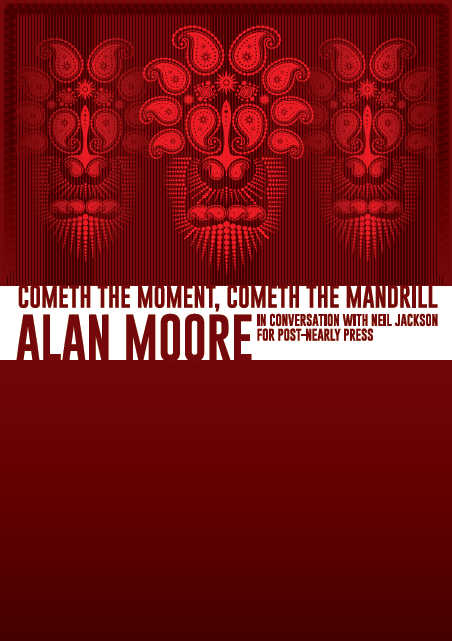 This entry was posted in News and tagged Alan Moore on June 7, 2017 by postnearlypress. Please note Cometh The Moment, Cometh The Mandrill is no longer available. It’s possible there may be a very small second print (with the books marked as a second printing). More information will follow. This entry was posted in News on April 18, 2017 by postnearlypress.